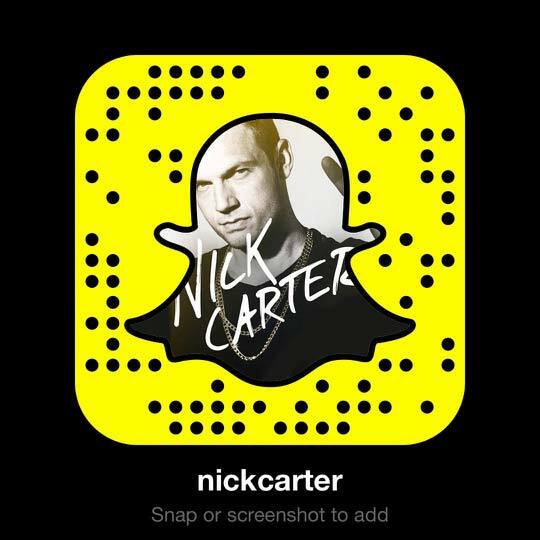 ...And if you thought Nick Carter was going to end it quietly, you were wrong! 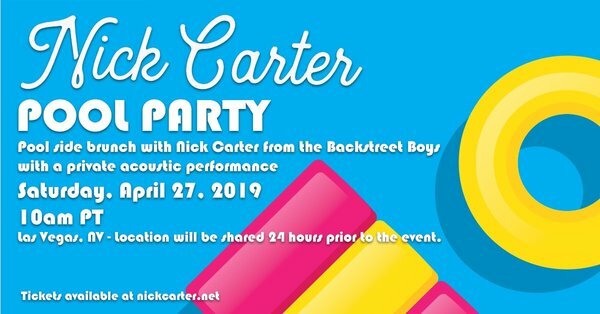 Fans are invited to attend a Pool Party WITH Nick the morning before the last show so you can get a little R&R (and brunch) before partying it up that night at Zappos Theater. Oh, and did we mention he'll also be serenading fans in attendance with an acoustic set? It doesn't get better than that! - Memories You Won't Soon Forget! The fun begins at 10am PST and the location will be given to ticket holders 24 hours prior to the event. Worried about what to wear? Don't! Swimwear is optional - feel free to rock whatever you feel great in. Please note that you DO have to be 21+ to attend. Sound good? All you have to do is purchase your ticket here! They go on sale tomorrow (4/17) at 10am PST. Have questions? Planning to attend? Drop it in the comments below! Good luck to everyone who's participating!! This sounds amazing, wish I could go! This is going to be so amazing!! I cannot wait to party with Nick, plus I’ll be meeting so many people I love there...besides Nick himself lol!! I could not be happier!! Thank you, Nick!! So excited - can't wait to see everyone there! Can I buy my ticket on my phone or will I have to print it out using my computer? How does buying the ticket work? I will. I cannot wait to have so much fun Nick.?????? Tickets are $250 + Fees.